Build silo structure WordPress blog or website. This is step 1 of 7 steps you will need to build silo structure WordPress blog or website. 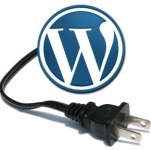 Step 1 is to install 3 free WordPress plugins that you will need to build silo structure WordPress blog or website. The web is changing and having a silo structure architecture website will help the spiders and visitors navigate your site, give you a better bounce rate because visitors can find more pages. Silo structure will improve your landing pages SEO this in turn means that landing pages will rank higher due to the silo architecture, this means more visitors. The first thing you need to do is find out how to create a website using WordPress and then set up your site next go to setting in your dashboard and make sure you have the correct permalink structure to enable siloing of a WordPress blog to take place. Once you have changed the permalink structure don’t forget to save, click on save changes. The next step is to install the 3 free plugins that you need to build silo structure blog. Go to plugins and click on add new. Do a search for Widgets on Pages type widgets on pages in to the search and press search plugins. Once you find the plugin click install. The widgets on pages plugin will start to install. Once installed activate the plugin. The next plugin that you need to install is Category Posts Widget like before type category posts widget in to the plugin search bar and do search. Next install and then activate the plugin. The last plugin you need to install to build silo structure WordPress blog or website is the Related Posts Thumbnails plugin. Type related posts thumbnails in the search, find it then click install then activate. You may want to upload the plugins instead of doing a search. Click on the plugin links above, you may then download them to your computer. Once downloaded you will be able to upload them from your where you saved the files. Now you will have the 3 plugins that you will need to build silo structure blog or website.